Once considered a place where it's easy to make a windfall profit, the Chinese market, where car sales lost momentum last year, has become more challenging for some overseas vehicle brands. But analysts cautioned that overseas brands should examine their own businesses and build up their brand image to overcome the situation, instead of blaming their business slump solely to the Chinese market. Tata Motors reported a loss of about 269.6 billion rupees ($3.77 billion) in the October-December quarter, according to a notice on the company's website. Tata Motors' slumping business was mostly due to lackluster sales in the Chinese market, the company noted. In the October-December quarter, JLR sold 144,602 vehicles, down 6.4 percent on a yearly basis. Sales were down nearly 50 percent in China during the period, which was offset to a certain extent by a moderate sales rise in the UK and North America. 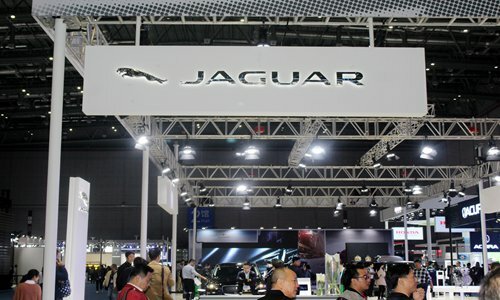 Su Hui, a senior analyst at the China Automobile Dealers Association, told the Global Times on Tuesday that the major reason for JLR's business slide in China is that its brand image is relatively weak among Chinese consumers, although overall market weakness in China also added to the difficulty. "Compared with previous high growth rates, China's automobile industry in 2018 was under great pressure. Foreign brands are somewhat affected, although German brands and Japanese brands did better," Zhang Yu, managing director of Automotive Foresight (Shanghai) Co, told the Global Times on Tuesday. Experts have also noted that luxury car brands went against the tide and reported good business performances in 2018, helping boost sales of some Western high-end car brands like BMW. The growth rate of new vehicle sales in China fell 2.8 percentage points on a yearly basis, according to statistics revealed by Wang Bin, an official at the Ministry of Commerce, during a press conference on Tuesday. Wang did not disclose an exact figure for the growth rate. This situation is being described by some domestic media as "winter" for the Chinese automobile industry. But Wang said the sluggish growth is a temporary phenomenon, as China still has plenty of room for car consumption compared with developed economies. "It's not that people do not want to buy cars... we still have great room for [car consumption] growth," he said during the press conference. Zhang said that in the long run, China's car ownership rate is still low, and it will certainly continue to rise. "As a number of consumption stimulus policies were rolled out, we should stay cautiously optimistic about the market in 2019," he said. Signs emerged of a warming trend around the Spring Festival holidays. According to a guancha.cn report on Tuesday, several car brands have reported good sales so far this year. Audi, for example, sold 64,000 cars in China in January, up by 5.1 percent year-on-year and the best January sales for the company. Geely Group sold more than 158,000 cars in January, up 2 percent on a yearly basis, according to media reports. But Su noted that holiday sales don't necessarily signal a real warming, because consumption often rises during the Spring Festival period.